Hello! 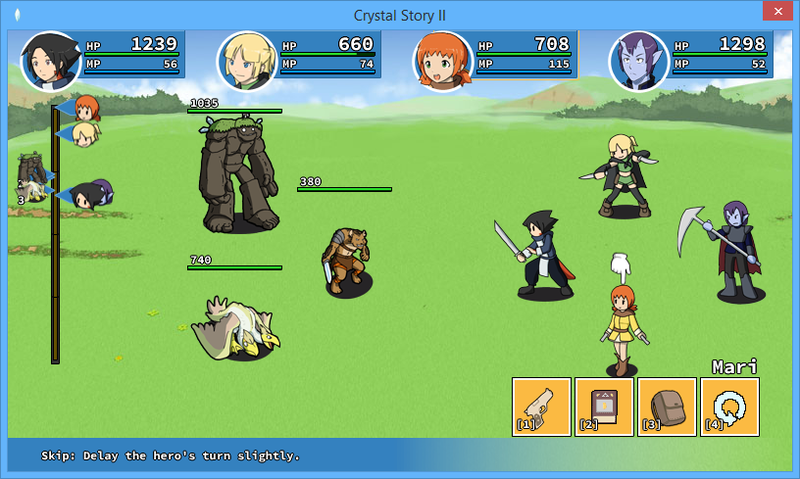 If you didn’t know, Crystal Story II is available for free, thanks to the sponsors. You can play it on Kongregate or Armorgames. 5 New areas and bosses - Five optional new areas and super bosses appear after you’ve beaten the game to put your party to the ultimate test. Expanded Armory - Rare armors can now be crafted, and equipment can be dismantled for components. Better Sprites - The deluxe version gives me the opportunity to bypass some of the limitations of the web version. Battle sprites, Icons and Character sprites have been re-saved to PNG-24 instead of PNG-8. Jpeg quality has also been bumped to 100 from 80. Better Audio quality - Audio quality has also improved from 80kbps to 128kbps.